BeerTourism.com provides various commercial and communication options. We offer tailored online advertising solutions and a range of consultancy services. For more details about advertising rates and bespoke offers please contact us via: advertise@beertourism.com. We supply service modules based on content provided. These services comprise as standard: translation, layout and publication. Production is offered at an extra cost. Direct advertisements can be listed under Beer, Brewery, Horeca and General Business. We can build your business its own mini-site: unique English-language pages to promote your business or product. You will also be able to offer competitions, offers and giveaways. Contracts can be renewed annually or set up for shorter, periodic campaigns. Banners and sponsored links. Banners with the visual or video of your choice can be ‘Geo Targeted’ to pinpoint your audience. You can sign up for an annual deal or set up shorter periodic campaigns. We publish promotional articles in the English language using our main, city and recipe blogs. After publication these articles will be accessible for an unlimited time through our archives. Sponsored content will include the publication of city pages and other articles. All paid content will be published and distributed through social media channels such as Facebook, LinkedIn, Twitter, Google+ and Pinterest. We charge a fee to third parties to use our brand name(s). One example is the first Beer Tourism Café, opened recently in Ostend. Every town or city included in BeerTourism.com’s city guide will have the opportunity to designate one single café as an official Beer Tourism Café. This opportunity is available to large breweries as well as local businesses. This includes the development, marketing and organisation of beer tourism, related products and services, where the concept is owned by the client, with marketing to B2B as well as B2C audiences. These may include brewery visits, beer and food-related walking and cycling tours etc. In addition to developing our own products, we will work with third parties such as breweries, tourist boards, local councils, entrepreneurs, retailers and trade organisations. When we develop a particular product or service on behalf of third parties, we include the option of further support. This can take the form of consultancy and/or intensive promotion through our own channels. If an advertiser or client does not wish to supply their own content, our team can produce it for them as one of the options in our modular pricing plan. Our production facilities include the following: editing, lay-out, visuals, specialised photography and video production. We offer a wide range of branded products (glasses, t-shirts, mouse mats, etc) as well as the production and publication of e-books in the English language. This is on behalf of third parties as well as under our own management. In addition to e-books, we have the opportunity and capacity to publish our own content in print and to develop specific apps. Promotional support and distribution is primarily handled through our own channels. 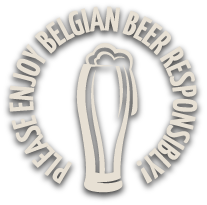 The Belgian Beer Festival will take place in 2015 and host the first BeerTourism.com Awards. The festival will be aimed at the B2B as well as the B2C markets, which will allow us to distinguish ourselves from the many tasting festivals. Our concept will steer a middle course between a professional beer, food and travel exhibition and a classic beer festival. It is our intention to expand the Belgian Beer Festival into an international roadshow where the experience takes centre stage. We can also offer B2B and B2C beer travel to groups.